Opulence is embodied effortlessly by this alluring and expertly crafted wedding band. It displays stunning lab grown diamonds that have been pave set within beautiful hexagon frames. The elegant milgrain detailing on the edges draws your focus towards the magnificence of the eco-friendly gems. The 14k white gold metal further uplifts the allure of the design and creates the perfect backdrop for a classy piece of jewelry. 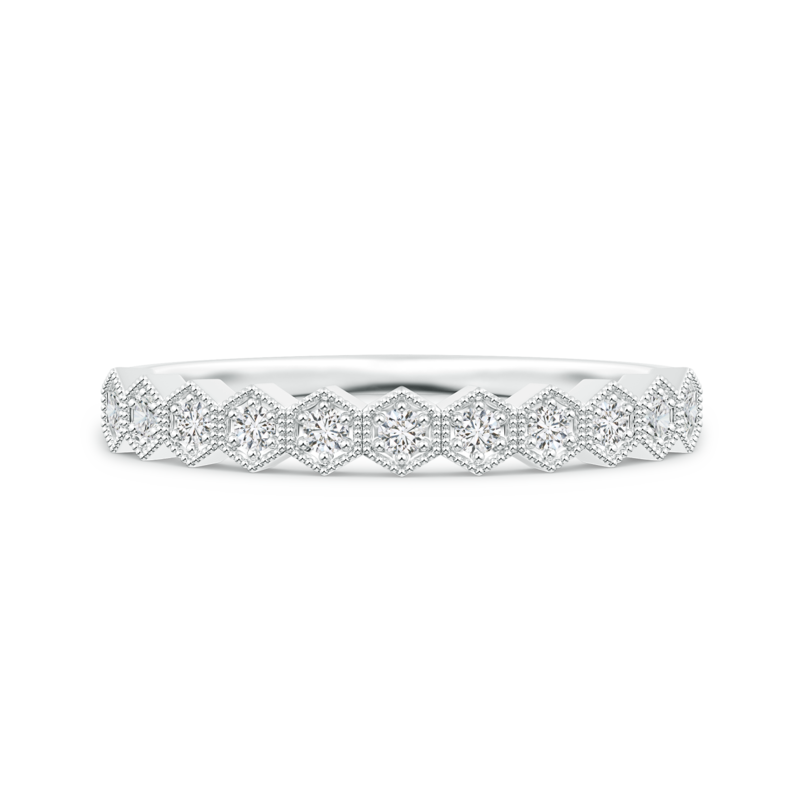 Showcasing a flawless blend of quality and beauty, this wedding band is sure to win hearts.